HOUSTON— Fotofest is back this month for its 16th iteration, Changing Circumstances: The Future of the Planet, March 12-April 24, with an epic calendar of exhibitions, programs, lectures, films, and performances. 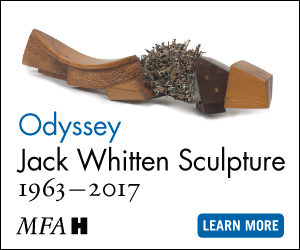 Featuring work by 34 artists from nine countries, this biennial is the first in ten years to consider a theme that is not tied to a specific geographic region. 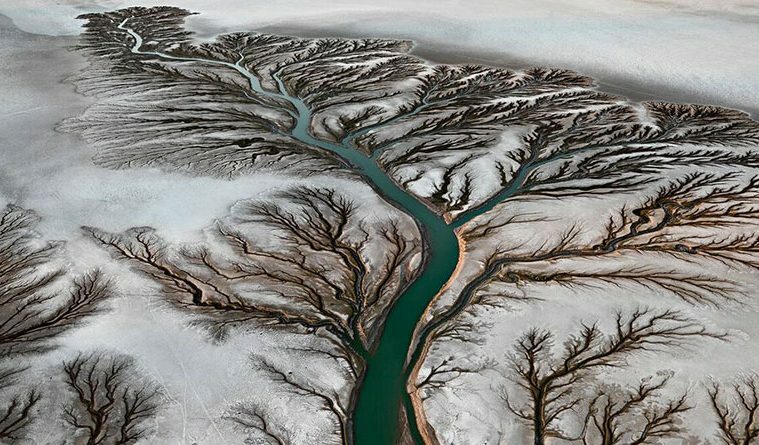 IMAGE ABOVE: Edward Burtynsky, Colorado River Delta #2, Near San Filipe, Baja, Mexico, 2011. From the series Water . Courtesy of the artist. HOUSTON/AUSTIN/DALLAS—The Sam Mendes Tony Award-winning production of Roundabout Theatre’s Cabaret drops into the Hobby Center for the Performing Arts, March 22-27, Broadway in Austin, March 29-April 3, and at Dallas’ AT&T Performing Arts Center, May 25-June 5. 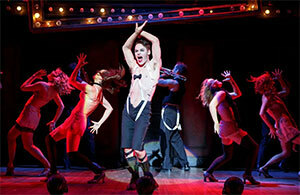 Original 2014 Broadway Cast of Roundabout Theatre Company’s Cabaret. SAN ANTONIO- Blue Star Contemporary hosts three stellar shows March 3-May 8 which include a new installation from San Antonio-based Justin Boyd, a site-specific installation from artist duo Works Progress, and a new iteration of Hans Ulrich Obrist’s do it, a traveling exhibition exploring the possibilities of the exhibition. 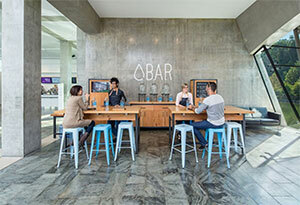 IMAGE: Installation shot of Works Progress “Water Bar” at Crystal Bridges for the “State of the Art” exhibition. Image courtesy of artists. 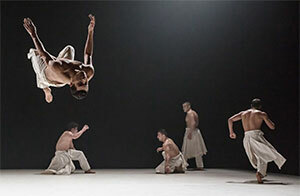 HOUSTON/DALLAS— French choreographer Hervé Koubi brings his company of 12 male Algerian and African dancers to Houston through Society for the Performing Arts on March 18 at Cullen Theater Wortham Center and in Dallas through TITAS on March 25-26 at Dallas City Performance Hall. DALLAS— Through April 2 Dallas’ Erin Cluley Gallery is mounting Not Photography, a group show that brings together six photographers, 5 from Texas, one from Cuba, who have responded in unique ways to the changes technology has wrought on their medium in recent years. HILLARY HOLSONBACK, Beach Camp #1, 2015 Ink jet on fabric Edition 1/3 38 x 60 inches. HOUSTON— The Dance Salad Festival rolls into Houston, March 25-27 at Wortham Center with a stellar lineup of national and international dance artists with BalletX, Northwest Dance Project and Gartner Platz Theater from Munich, Germany along with returning favorite Sidi Larbi Cherkaoui. IMAGE: Richard Villaverde of BalletX in Nicolo Fonte’s Beasts. Photo by Alexander Iziliaev. ALBANY— There’s something decidedly retro about Robert Langham’s curious photographs of wild creatures; reminiscent of the curiosity or freak shows of yesterday in the incongruous contrast of wild animals and human hands. It’s a magical combination of straightforward portraiture and the unnatural mingling of man and beast that imbues the portraits, which have morphed over the years from the documentation of a single rescued animal into an ongoing series, with a hypnotizing sense of the weird. 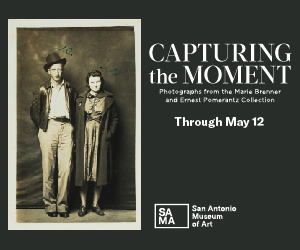 See Langham’s portraits at the Old Jail Art Center March 5 – June 4. 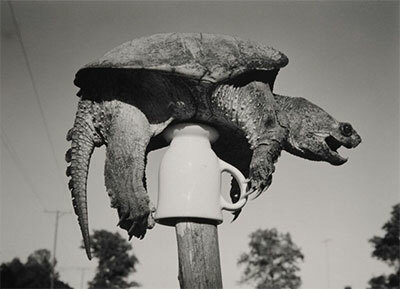 Robert Langham, Gravid Female Southern Snapping Turtle, 1996 Silver gelatin print, 20 x 24 in. Courtesy of the artist. DALLAS— Jules Massenet’s brilliant opera about love, wealth and temptation, Manon, features Ailyn Pérez and Stephen Costello, Conductor Graeme Jenkins conducts the Dallas Opera production directed by E. Loren Meeker, March 4-12 at the Winspear Opera House. AUSTIN — Kathy Dunn Hamrick Dance Company presents the Austin Dance Festival with 22 artists, including ARCOS Dance, Ariel Dance Theatre, Ellen Bartel Dance Collective, Kathy Dunn Hamrick Dance Company, Bruce Wood Dance Project, Dark Circles Contemporary Dance Company, METdance and more, on March 5 at AustinVentures Studio Theater. 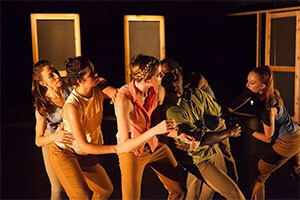 IMAGE: Kathy Dunn Hamrick Dance Company in True Story. DALLAS— After 30 years of calling Dallas’ Deep Ellum home, Barry Whistler is headed West to Dallas’ Design District, but not before one fabulous last show. 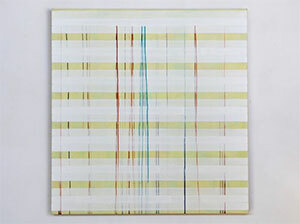 On view March 19 at Barry’s Canton Street space, the 30th anniversary exhibition features new work from gallery mainstays Tom Orr, Linnea Glatt, and John Pomara, (a veritable who’s who of Dallas abstract artists,) as well as work by a whole host of other wonderful artists young and old from Dallas and beyond. IMAGE: Johnnie Winona Ross, Spring Seep, 2015. Paint and minerals burnished on linen. Courtesy Barry Whistler Gallery.